Check out Tobi's Rip To Shreds Distressed Denim Pants We're not kidding with the Medium Wash Rip To Shreds Distressed Denim Pants. 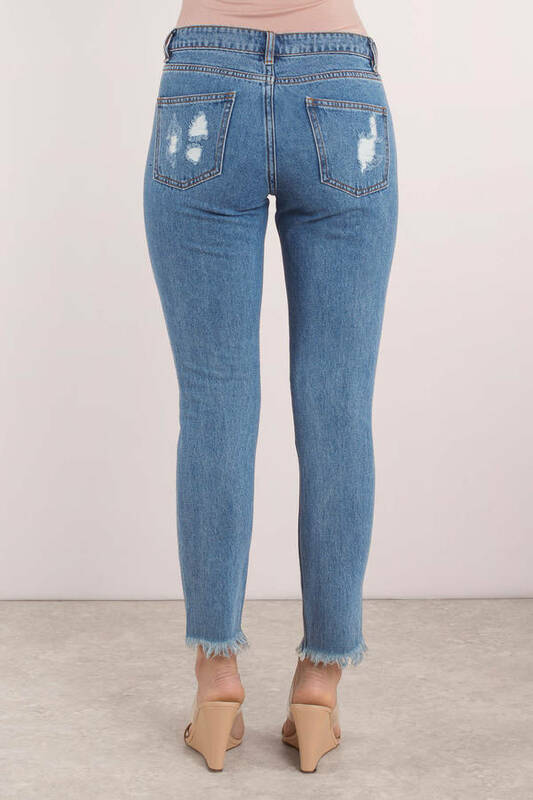 Our designers had a field day ripping into these low rise denim jeans. 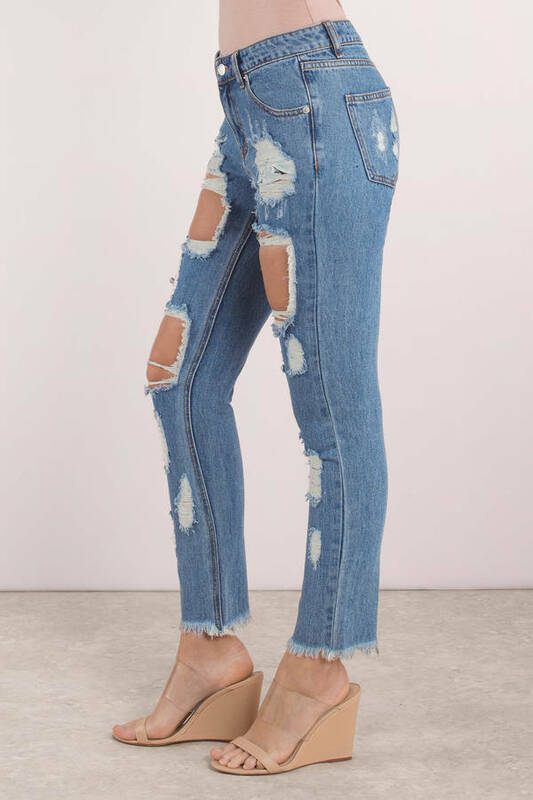 With rips and distressing all the way from the top of the thigh down, these skinny jeans will add an edge to your downtime dressing. 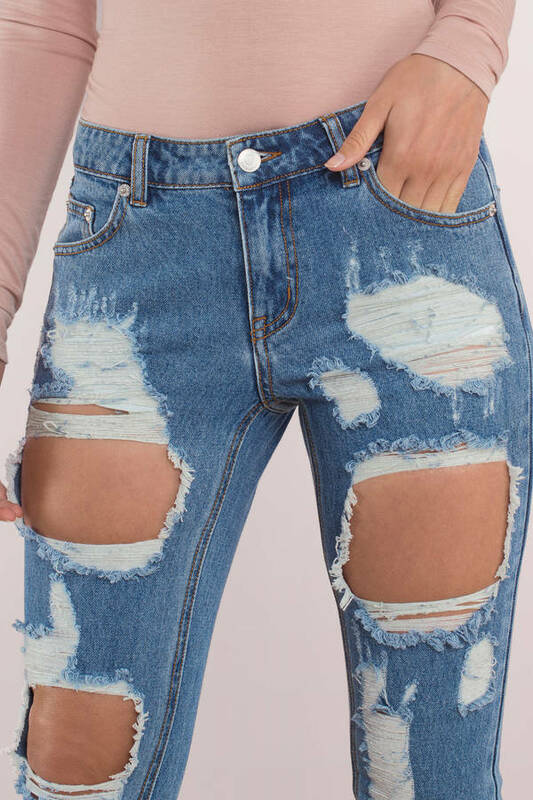 We're not kidding with the Medium Wash Rip To Shreds Distressed Denim Pants. Our designers had a field day ripping into these low rise denim jeans. 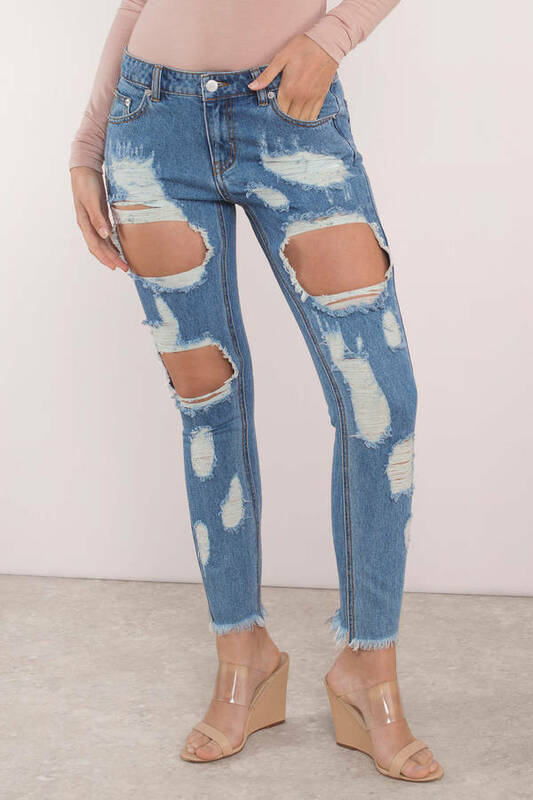 With rips and distressing all the way from the top of the thigh down, these skinny jeans will add an edge to your downtime dressing.